Give your style the perfect home at Gallery Bethesda II. 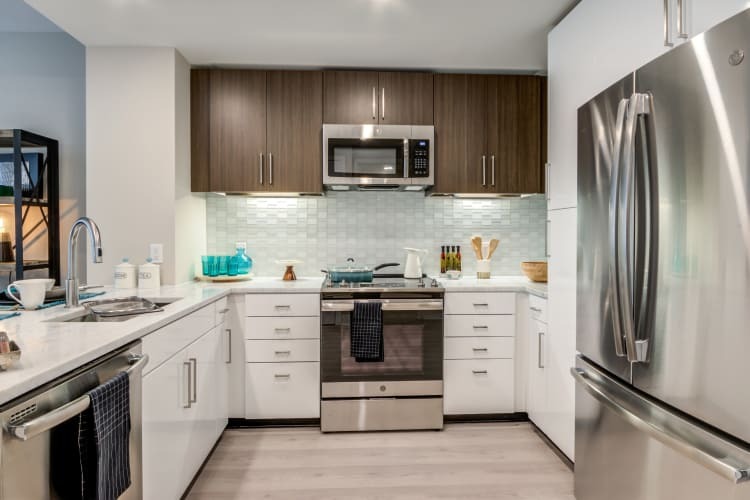 Offering the latest in contemporary finishes while echoing a timeless elegance, our apartments in Bethesda, MD, are the perfect palette for your sensibilities. 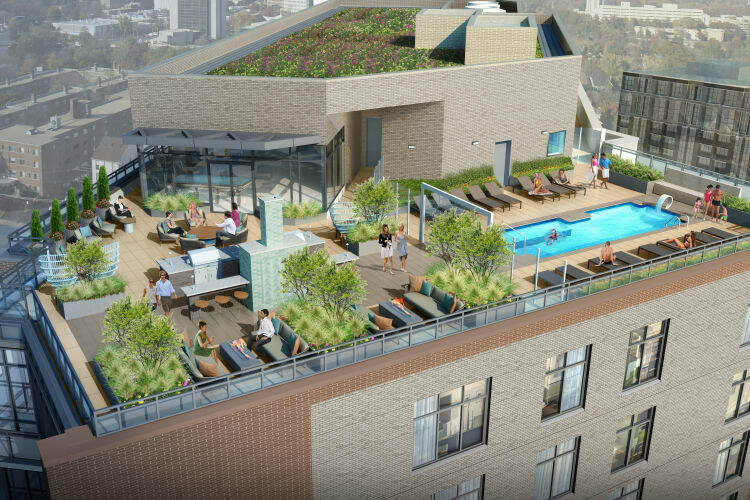 And, with a highly desirable collection of studio, 1 & 2 bedroom floor plans to choose from, you're certain to find the space that's exactly right for you. Our designers chose the finishes in your Gallery Bethesda II apartment home by carefully considering the options and selecting the brands and touches that would work seamlessly together while elevating your space. From the GE® stainless-steel appliances to the Moen® fixtures, to the Kaindl plank flooring to the West End Collection six-panel interior doors, to all the other upscale elements – the finishes of your home not only make sense, they make your space gorgeous. Perched on the highest levels of Gallery Bethesda II, our stunning penthouses take modern living to an elite level. Embrace an exquisite class of style, complete with upgraded features and finishes hand-chosen by our top designers. Simply put, our penthouses are the finest Bethesda, MD, apartments for rent. Make one your home and live better than ever before.